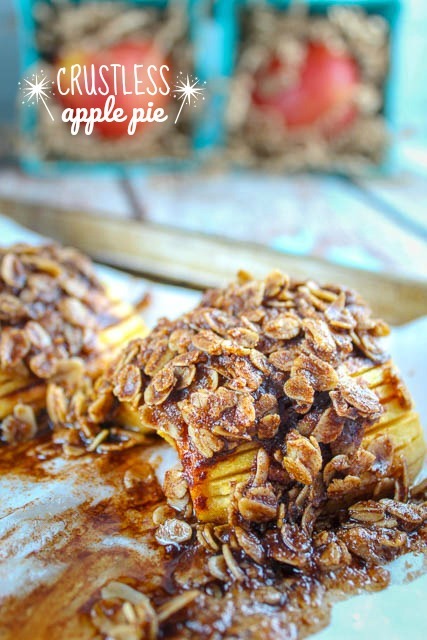 Recipe: Crustless Apple Pie | The Food Hussy! This post is sponsored by Autumn Glory Apples. All opinions are my own. 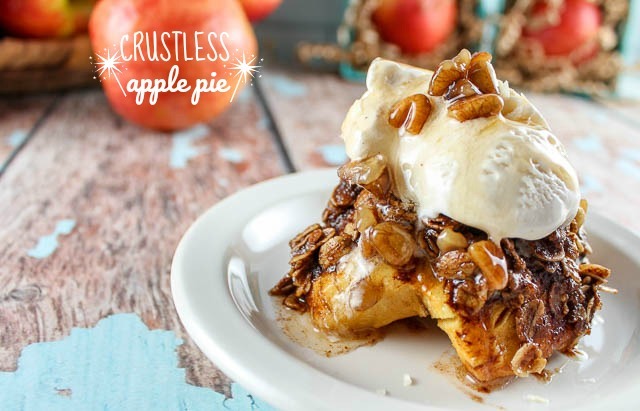 I'm always looking for a dessert that is easy - I'm just not much of a baker - so when I heard of a crustless apple pie - I thought - THAT is right up my alley! I can't say the recipe is light by any means - but it's really not too bad! There's a little butter and a little sugar - but that's about it. You will love this dessert - it only take about 10 minutes to prepare it - and then you just pop it in the oven and let that do the rest of the work! The idea is almost a "hasselback" recipe - you peel, core and halve the apple. Then you make diagonal slices into the apple part-way through but making sure it still stays together in one piece. This allows for the juiciness of your topping to seep into the slices. And just to test the recipe and make sure it was good enough - I tried it on its own without the ice cream and praline sauce - not bad at all! When you're making it - you brush the apples with butter and sugar - then bake them. Then take them out and make up a topping of cinnamon, sugar, butter and oats. Once that's together - smother your apples with it and back in the oven! 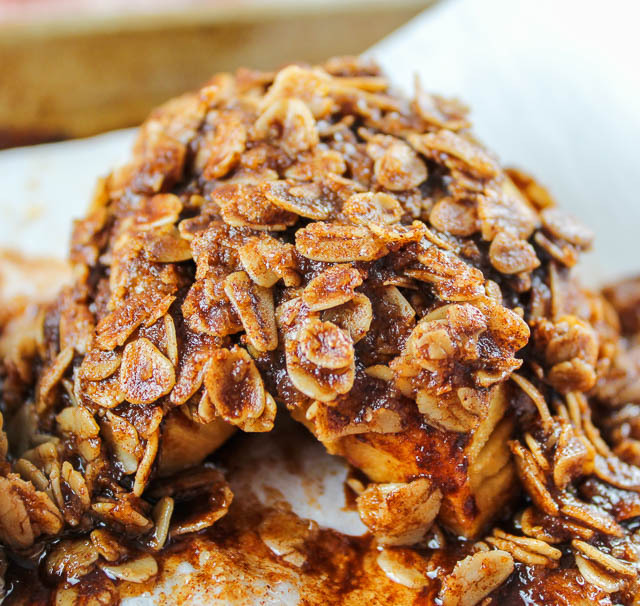 These Autumn Glory apples are perfect for this recipe because they have a nice caramel sweetness to them. They're also available right now - so you don't have to wait until summer for fresh apples!! 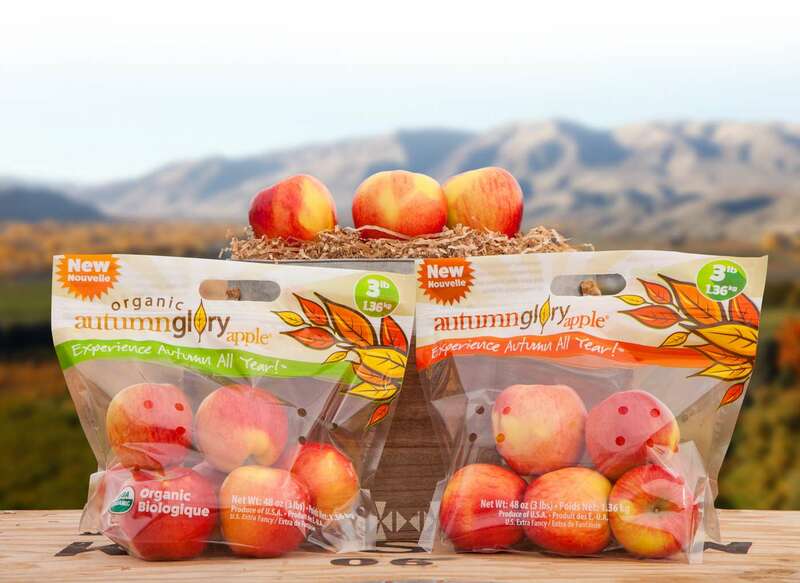 You'll find these Autumn Glory apples in a clear bag in your store like this - so keep your eye out for it! Autumn Glory apples have sweet, firm flesh with hints of cinnamon and caramel. Some say they taste like apple sauce! Yum! This makes them great to be eaten fresh, baked like I am or even used in combination with herbs and pork! This egg-free dessert is so great! It's tasty and light - you're not feeling all bloated afterwards! 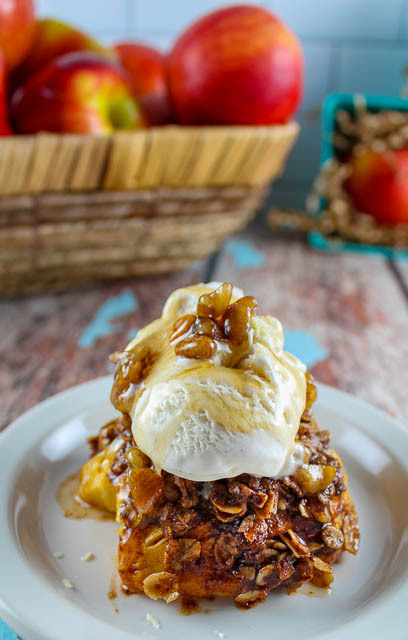 I absolutely will be gobbling up these apples and making this dessert again and again! Who needs a crust?! This apple pie is perfection for me! This delicious egg-free dessert is one the whole family will love! And it's much easier than making an actual pie! 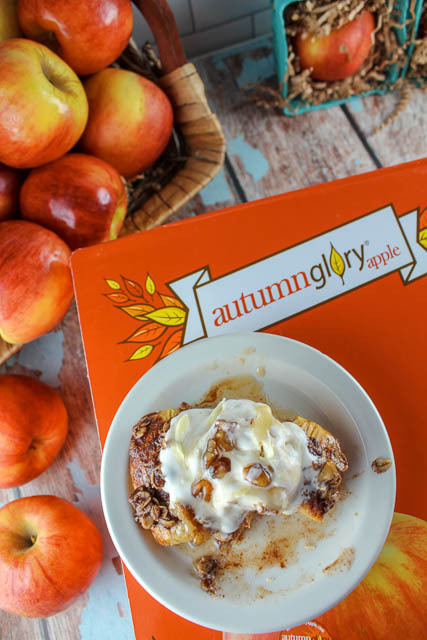 It's sweet and rich - and it's made even better with the sweet caramel flavor from Autumn Glory apples! Remove from oven. In a small cup, combine remaining melted butter, sugar, cinnamon and oats. Remove from oven and top each with a scoop of ice cream and - if you have it or something similar - Praline sauce and serve! Got The recipe and will certainly try it ! Looks soooo yummy and delightful.